Leah Lamb of Current interviews 1Sky Campaign Director Gillian Caldwell on the climate conference in Copenhagen. 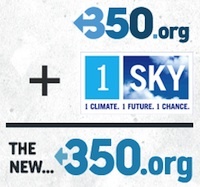 1Sky logo (JPG, PNG, Greyscale). For proper use of the 1Sky logo, refer to our style guide (PDF).